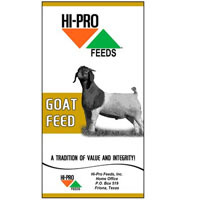 Feed free choice to provide 2 to 4 ounces per head per day. Additional salt is not needed. Caution: This feed contains added copper. Do not feed to sheep or other related species. Provide fresh clean water at all times. Keep feed in cool, dry storage. Do not use feed that is old, molded or insect contaminated. 2:1 Calcium to Phosphorous Balanced calcium to phosphorus ratio to ensure absorption is fully utilized. Added Salt Enough salt provided so that an additional salt source is not needed. Organic Selenium Boosts immune function, increases stamina, reduces the incidence of retained placentas in the mare, decreases the incidence of muscular dystrophy in foals, reduces foal scours, increases fertility in both the mare and the stallion, increases stamina, and helps prevent performance loss. Vitamins A, D, and E Aid in vision, reproduction, skeletal maintenance and development, and anti-oxidant activity. Essential Trace Minerals Helps improves cartilage development, improves hoof quality, maintains performance consistency, boosts immune function, increases fertility, increases energy utilization, and aids in anti-oxidant activity. Stabilized Rice Bran Natural source of vitamin E and one of the richest sources of B vitamins. Feed as a mineral supplement to sheep & goats on native, or improved, pastures in summer when mineral nutrient levels in the forages are higher. Consumption should be from 1 to 1.5 ounces (0.06 to 0.09 lb.) per head per day. For best results, keep in a covered trough that protects it from the environment. Provide fresh, clean water at all times. Keep feed fresh in cool, dry storage. DO NOT use feed that is old, molded or insect contaminated. 8.5% Phosphorus A lower level of phosphorus is necessary when forages are green and growing and livestock deficiencies are not so great. Phosphorus intake affects reproduction, teeth & bone development, and energy transfer in the body. Magnesium While many minerals increase in the summer to where they are not deficient, any lactating sheep or goat, or a rapidly growing one, will still need a good intake of magnesium to correct deficiencies that occur in the growing season. Organic trace minerals. Organic sources of copper, zinc, and manganese are absorbed in a complementary manner to normal inorganic sources and help animals to get a greater amount into their system for essential function and aid in development and maintenance of the immune system. Granular form A form that is more accessible to your animals and encourages intake of mineral supplement when animals are deficient and will benefit from consumption. 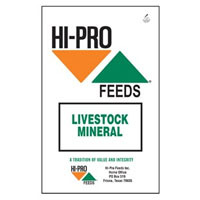 Water resistant A unique combination of ingredients gives Hi-Pro Minerals the ability to resist water damage to weather, but does not hinder utilization of the mineral nutrients in the animal. Feed as a mineral supplement to sheep & goats on native, or improved, pastures in winter when mineral nutrient levels in the forages are very low. Consumption should be from 1 to 1.5 ounces (0.06 to 0.09 lb.) per head per day. For best results, keep in a covered trough that protects it from the environment. 10% Phosphorus A high level of phosphorus to correct deficiencies when forage phosphorus level is low. Phosphorus intake affects reproduction, teeth & bone development, and energy transfer in the body. Potassium, Magnesium, & Sulfur Three mineral ingredients that are often overlooked in many minerals, the forage levels of these minerals become very low when the forages are not green and growing. Supplying these minerals aids in efficient rumen and digestive function as well as development and maintenance of body tissues. Feed free choice to range cattle. Additional salt is not required. Feed close to water to monitor consumptions. Projected intakes are 2 to 4 oz. per head per day. Caution: Use as directed. This supplement should not be fed to sheep due to the elevated copper level. Sheep have a lower copper requirement than cattle or horses and are not tolerant to excessive levels. 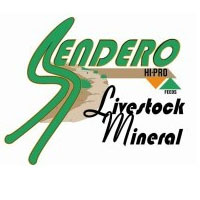 Formulated for Hi-Pro Feeds Sendero™ mineral program which matches forage, animal type, and season for the best performance of your beef animals. Nutrition needs are matched closely to animal requirements when grazing native grass. 1:1 Calcium-Phosphorus ratio. Natural range and pastures are deficient in phosphorus except when grass is lush and growing. Use on forage with high calcium and low phosphorus. Trace mineral fortified. Trace minerals to help growth, maintain health, promote reproductive function, and increase disease resistance. Vitamins A, D, and E are added. Prevents costly vitamin deficiencies. 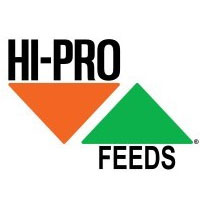 Hi-Pro Feeds new weather protection technology. Decreases losses to wind and weather. New flavor technology. More consistent intakes to provide continuous supplementation. Feed as a mineral supplement to cattle, sheep, & goats on native, or improved, pastures to correct, or improve, mineral deficiencies that occur. No additional salt should be fed when using this product. Consumption should be from 1 to 1.5 ounces (0.06 to 0.09 lb.) per head per day for sheep & goats, and 3 to 4 ounces (0.18 to 0.25 lb.) per head per day for cattle. For best results, keep in a covered trough that protects it from the environment. Salt (NaCl), max 45.0% Vitamin A, min 160,000 IU/lb. Potassium (K), min 0.2% Vitamin E 80 IU/lb. Calcium : Phosphorus Ratio Livestock should maintain a ratio of from 1.5 to 2.0 parts of calcium for each part of phosphorus in the diet to help maintain proper bone growth and metabolic function. This mineral has a 2 part Calcium to 1 part Phosphorus ratio to help animals maintain a sufficient diet ratio on native pasture. 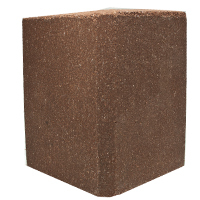 Block Form Feeding livestock minerals in a block form allows you more flexibility in feeding locations and reduces the need for a trough to put the mineral in. Putting mineral blocks out in areas of a pasture with less use may help attract livestock to achieve a more uniform forage use. Zinc Added zinc to aid protein synthesis, carbohydrate metabolism, and development and maintenance of the immune system. Vitamins A & E This block contains ample amounts of vitamins A, D, & E which serve as essential catalysts to digestive and bodily functions for livestock. Palatable This mineral block is one of the most palatable on the market. You can be assured your livestock will consume this mineral even in areas where you have trouble with mineral consumption. Economical This block will provide the essentials of calcium, phosphorus, salt, and zinc supplementation at the lowest cost per head per day. Feed free choice to livestock grazing on native or improved pastures. Feed close to water to monitor consumptions. Projected intakes for beef cattle are 2 to 3 oz. per head per day. Sheep and goats should consume .25 to 1 oz. daily. If intakes are greater than expected supply an additional source of salt. This mineral can also be fed to other ruminant species and equines. Trace mineral fortified. Trace minerals to help growth, maintain health, promote reproductive function, and increase disease resistance. Formulated with a low copper level that is safe for sheep. Easy to feed block. Mineral blocks can be distributed over large area which aids in pasture management. Block Design Can be place anywhere in a pasture to provide nutrients and to attract deer to feeding grounds. 18% Protein Provides needed protein supplementation at times when deer most need it - late winter after the breeding season and mid-summer when forage quality declines. Apple Flavor Attractive aroma from apple flavor aid deer in finding the location of the nutritional supplement.